HomeBlog postsWe’re a proud Sponsor of InfoSec World 2018! We would like to invite you to come and visit us! Come say Hi to the team on March 19 – 21 at Booth 207. 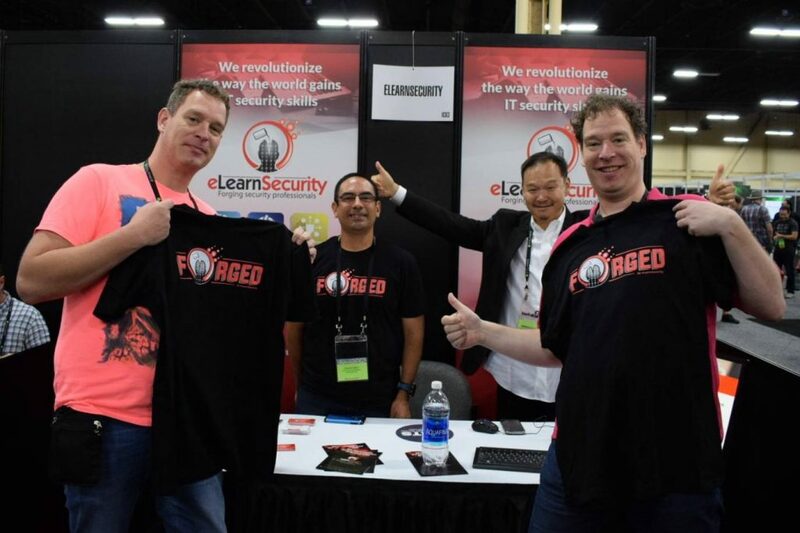 If you’re interested in learning some new security hacks, we’ll tell you all about our full range of IT Security training courses, corporate training solutions, and our innovative virtual labs. Don’t forget to bring your Passport-To-Prizes with you for your chance to win a Penetration Testing Student (PTS) course in Elite Edition! For more than 20 years, security experts have made InfoSec World one of the number 1 Cyber Security conferences. To manage today’s threats, security professionals must have the skills to be both a business partner and enabler and have the technical expertise to prevent, detect and respond to security challenges. 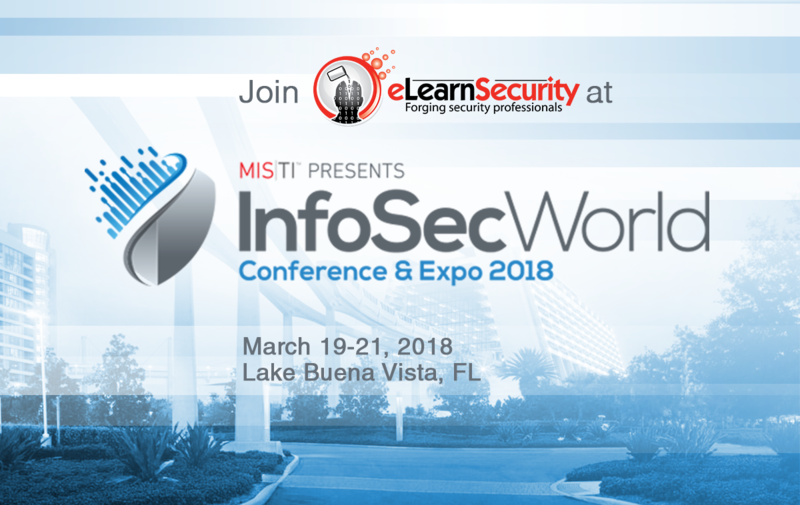 InfoSec World features a world-class program and expert speakers from the field to help you do just that. What Can I Do There & How Can it Help My Career? To our students attending the InfoSec World 2018 Expo, come by Booth 207 to say hello, and grab one of our stickers. As our student, you might even go home with one of our sought-after FORGED t-shirts 😉… and why not take a selfie for the occasion? Can’t Make it to InfoSec but You’d Like to Level-Up your IT Skills? In today’s crazy busy lifestyle, it’s often hard to make time for yourself. However, it’s never too late to learn new skills and get that promotion you’ve been waiting for. When you think about it, what better way than a new certification and hands-on skills to convince your boss that you’re up for it? Learn more and level-up your professional competencies, check out our various IT Security courses for yourself!